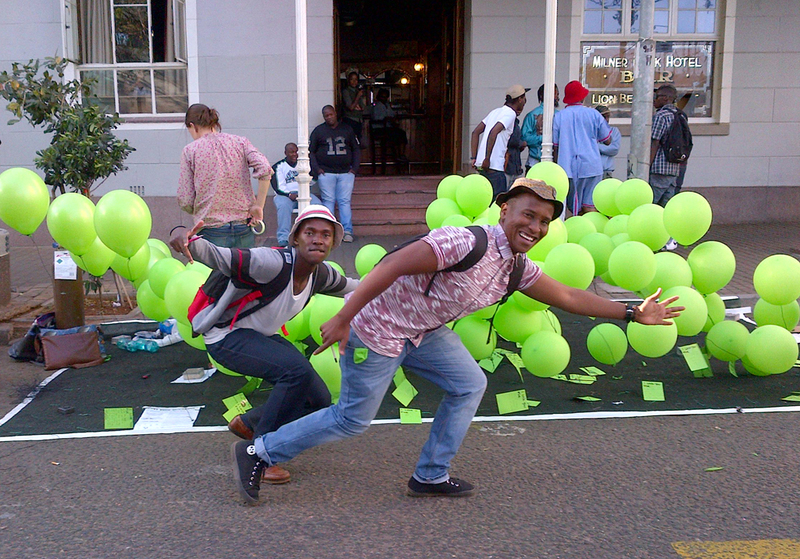 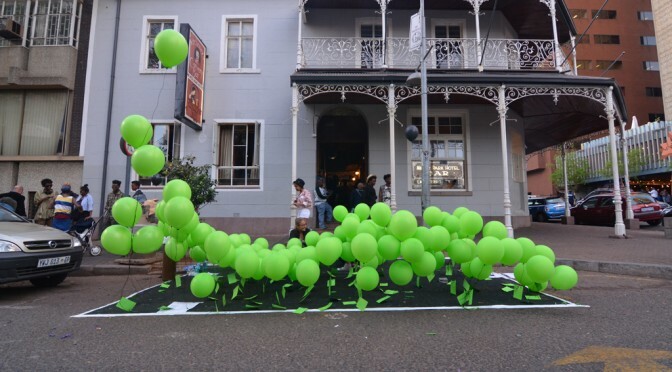 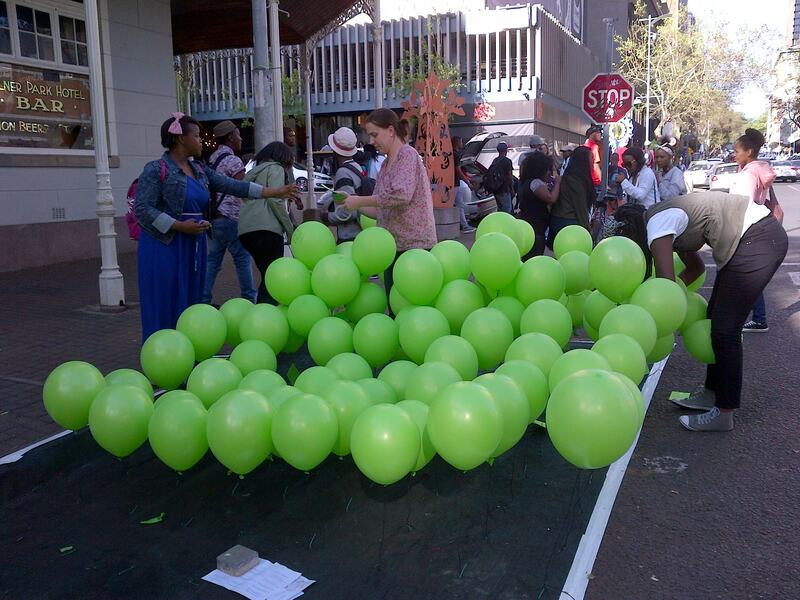 Second round of park(ing)Day in Johannesburg. 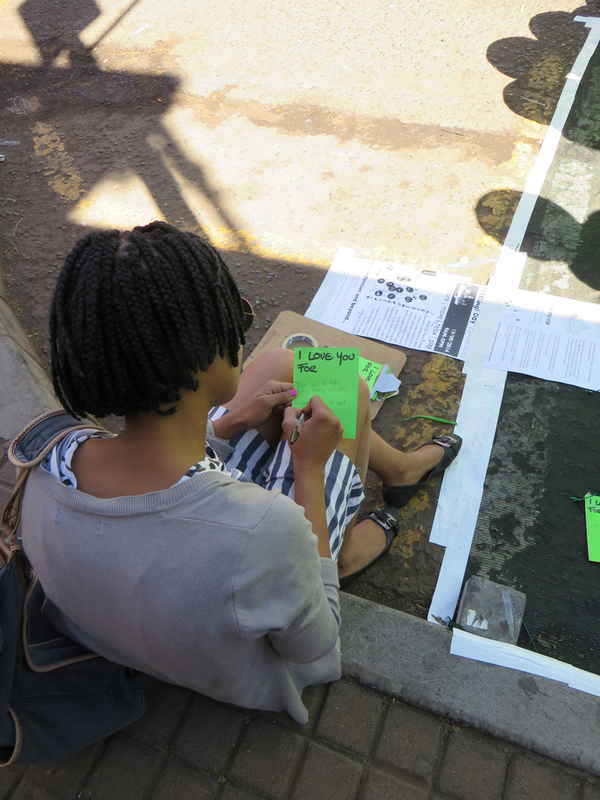 This years theme was about reaching out and creating a network in-between the city and modes of connecting different parts of Johannesburg. 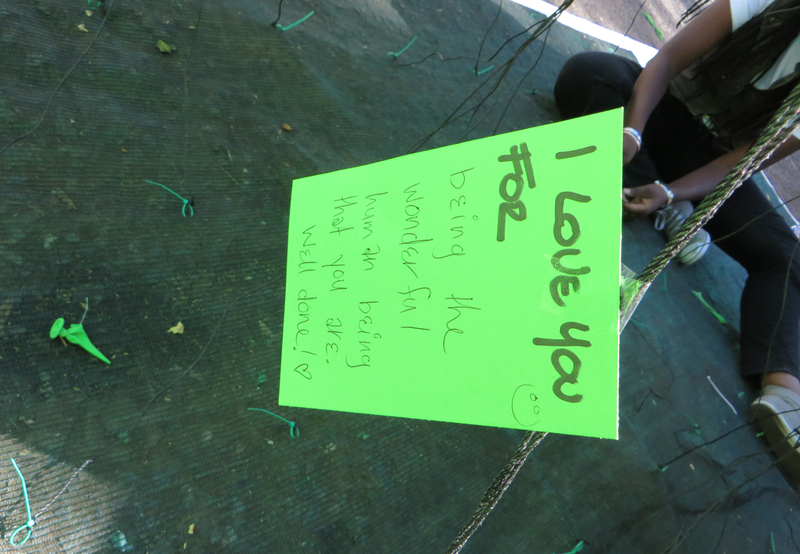 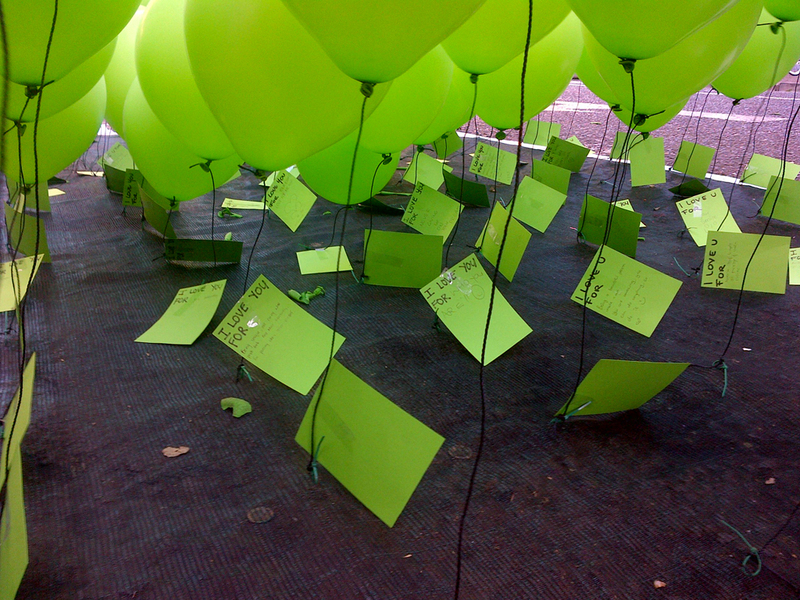 The idea of the installation “Love your neighbour!” was to activate a temporary space for positive engagement. 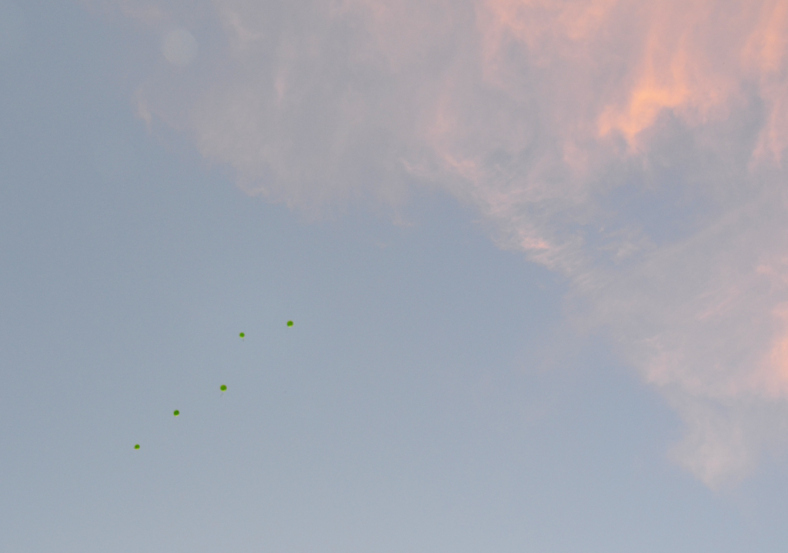 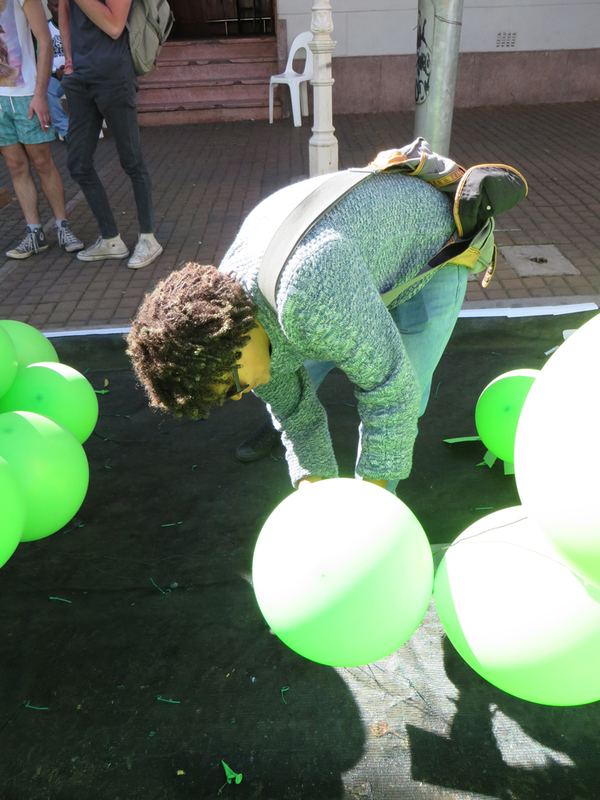 A place to celebrate diversity, love and fun – feeling light like a balloon no matter who you are, where you from and what challenges life might offer. 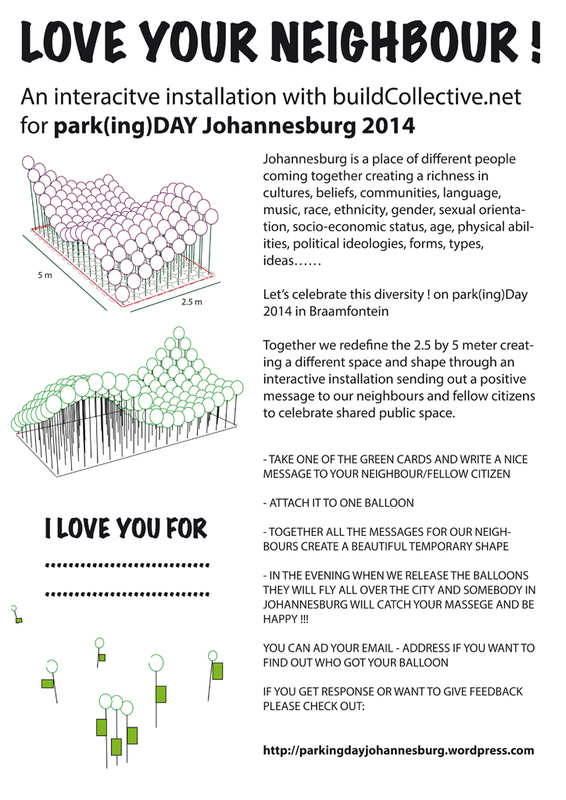 Park(ing) Day triggers the understanding of citizens being active designers instead of passive consumers. 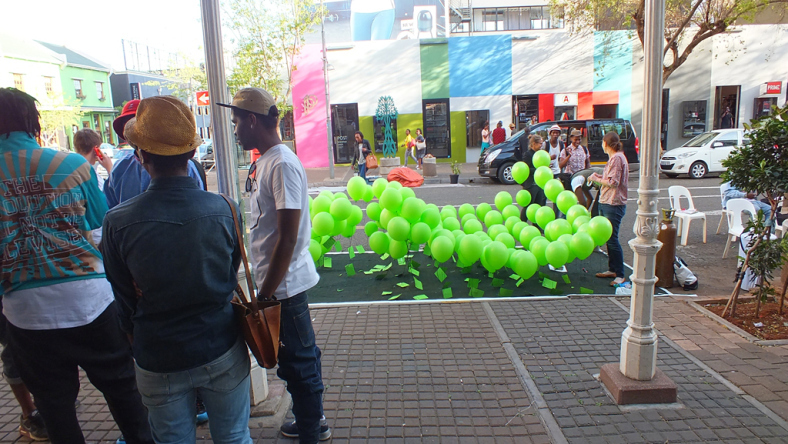 By collectively shaping public space the potential of – each individual, a shared experience and a positive landmark is created for those using and making public space unconsciously and those perceiving there is no public space in Johannesburg. 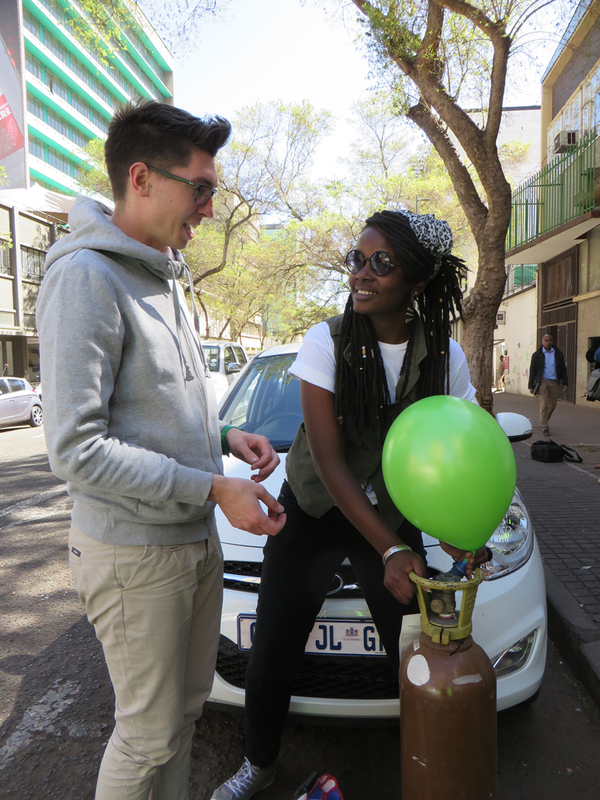 The love letters to an unknown fellow citizen had an email-address to find out who received it – by now we got 8 msgs out of 146 mainly from Braamfontein but also from Parktown and one was caught it in CBD.